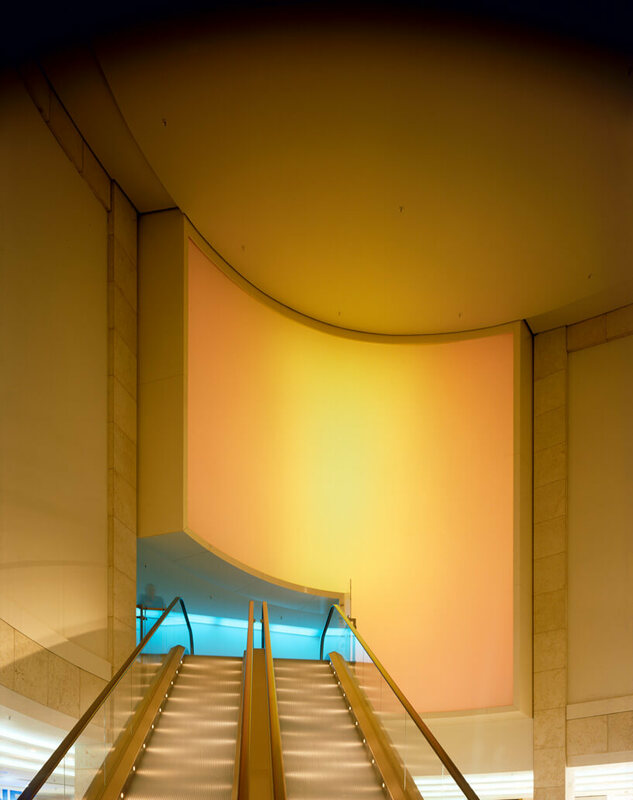 The light wall, located at the passage to the shopping mall’s parking garage, creates a tranquil and poetic counterpoint to the bustling atmosphere of the shopping center. 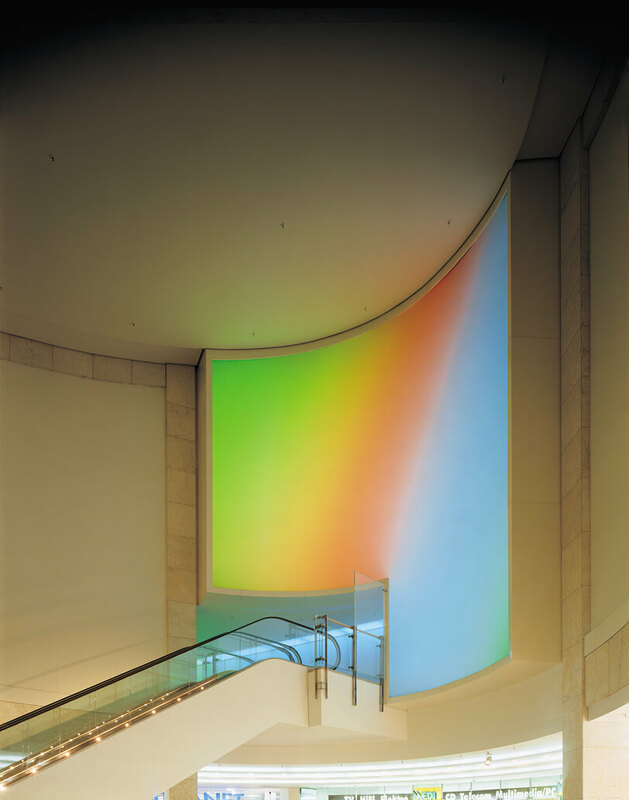 Behind the semi-transparent surface of the wall are red, blue and green fluorescent bulbs, each one steered by a specially developed control technology: all colors of the spectrum, as well as smooth and gentle color transitions, can be generated. 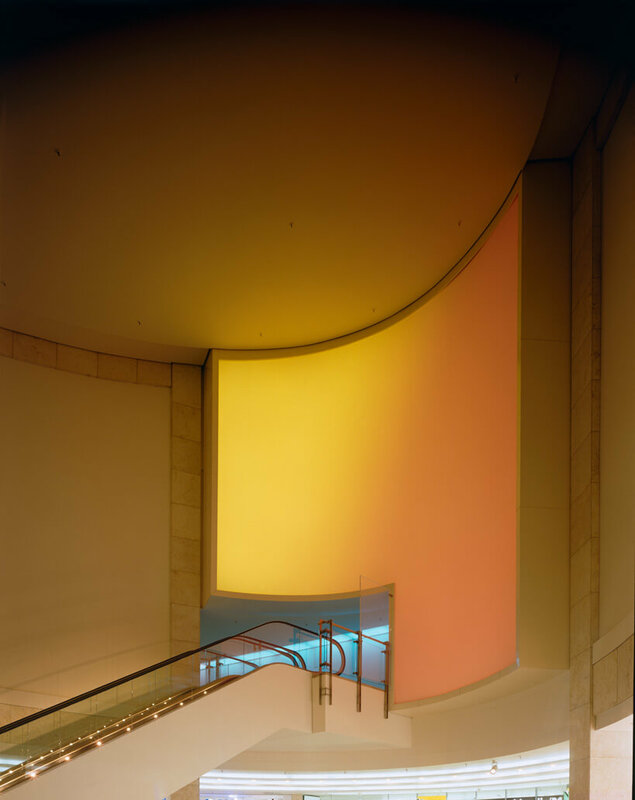 Thomas Emde created an actual choreography of color for the light wall.